When I was little, a dear friend of my mother’s had joined Weight Watchers and was recounting the story of heading to a meeting each week where her and some friends would be weighed in. After they stepped on the scale and stayed for the meeting, the ladies would climb in to their car and drive down the road to Outback and celebrate with a gigantic brownie sundae. The irony of this story was not lost on me, even at my young age. Later in life (and after my own trip through Weight Watchers) I understood that those ladies could eat whatever they wanted, as long as they budgeted the points for their treats with the rest of their eating for the week. But, food as a reward is still a hot topic for me and mine. So, what exactly do I mean about “food as reward?” Maybe after 6 days in to your challenge, you’ve started to recognize some behavior patterns that were part of your spending life. During our first spending freeze, I came to realize how often I rewarded myself with food. Tough day at work? I swung through the drive thru for a coffee pick-me-up on the way home. Tough week at work? Cue Friday night dinner out. Promotion or great review at work? Treated myself to a new pair of shoes. Hustled through a tough run or workout? Pedal to the metal to get to Starbucks. Oh. My. Lanta. I had have a problem. Maybe these habits are part of your culture, maybe just part of your family, but at some point you may realize how often a food/drink treat takes the place of just being at home with difficult or good feelings. The feelings I felt after a tough week at work could easily be drowned in a beer and some pizza. The exhaustion I felt at the prospect of going home to cook dinner, do laundry and be a good mother AFTER working all day could be eased with a bit of purchased caffeine. I spent a lot of time numbing emotions with food. And, even now, in a pinch emotionally, I reach for food to calm me. I’ve worked hard to overcome these patterns, but I still have slips. A package of graham crackers disappeared this week before I even knew what had happened. Could it be worse? Sure. But the discomfort of being anxious or excited is sometimes too easy for us to numb. Self awareness is key. While you’re practicing your spending freeze guidelines, tune in to the emotions that come up when you are wanting something. Where are they coming from? Take some time to write about how you feel in a journal or talk to a trusted friend or spouse. Replace the food reward with another reward. Read, get crafty, go for a walk. Anything that brings you joy. Enjoy hot baths but never take the time for yourself? Dig out that old bubble bath bottle from the bathroom closet and treat yourself. Close & lock the door and warn all kiddos and spouses that no one comes in. True story: I check that no one needs to use the restroom BEFORE I start my bath in order to avoid interruptions. A one bathroom house requires proactivity! In times of desperation, leave money at home. If it’s an emotional time and you know you’ll be tempted to spend, do what you can to minimize your options. Empty your wallet of that department store credit card, remove extra change that you would use in the pop machine. Do what you need to do to help yourself be successful. 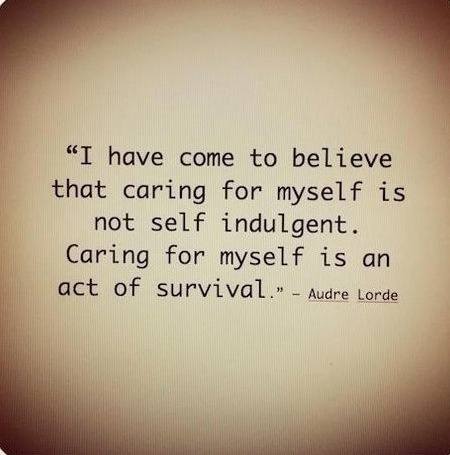 Practice extraordinary self-care. These words came from one of my teacher’s during yoga training. They have stuck with me and I try to practice this idea each day. Caring for yourself will help you combat those moments when you are tempted to use food as a reward. Have tips for how to break this habit? I’d love to hear them.